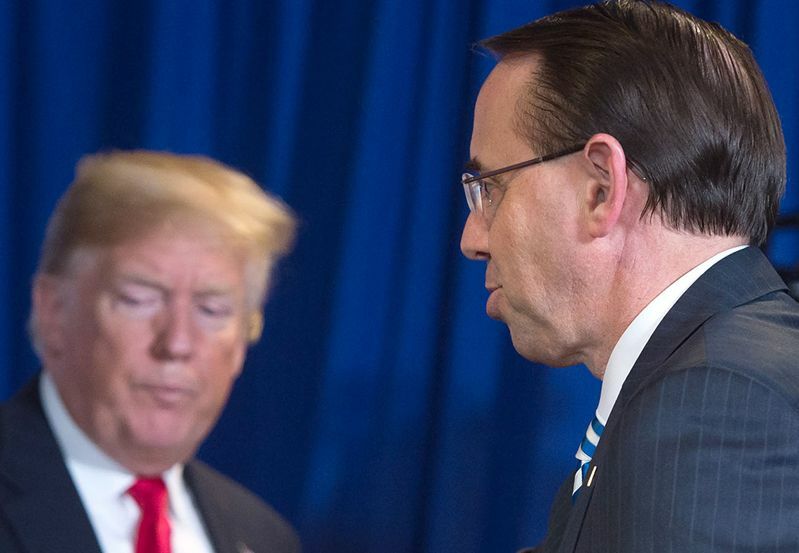 In response, Deputy Attorney General Rod Rosenstein announced that the Justice Department inspector general’s existing inquiry into the genesis of the Russia investigation would be expanded to address Trump’s concerns. In a subsequent meeting at the White House, Rosenstein and FBI Director Chris Wray agreed to share with Nunes and fellow Republican Rep. Trey Gowdy certain documents Nunes requested, including a Rosenstein memo outlining the scope of special counsel Robert Mueller’s authority. A White House spokeswoman said Democratic congressional leaders would not be shown the documents. The informant was identified by several news outlets as Stefan Halper, a retired, U.K.-based American academic who was a foreign policy adviser in the Nixon, Ford, and Reagan administrations. In the summer of 2016, Halper reportedly approached three Trump officials—George Papadopoulos, Carter Page, and Sam Clovis—to assess whether the campaign was colluding with Russia. FBI sources said this step was taken only after the bureau received evidence that Page had suspicious Kremlin contacts and that Papadopoulos had bragged that the Russians had stolen a trove of Democratic emails. Trump’s claim of a “nefarious Deep State plot” is “unhinged,” said Jonathan Chait in NYMag.com. His defenders’ “working theory” is that the FBI used their informant to set in motion an investigation that could serve as a “fatal October surprise” before the election. The “tiny flaw” in this theory? “They never sprang the October surprise.” Worried about tipping the scales, the FBI “kept a tight lid” on their investigation of Trump aides until after the election—while badly damaging Hillary Clinton with repeated public announcements about their investigation of her emails. Trump’s critics always clamor for a “full accounting of what transpired during 2016,” said David Harsanyi in TheFederalist​.com. Surely they should be happy that no stone is being left unturned, and that supposedly maligned, nonpartisan FBI officials will now have a chance to “clear their names.” Liberals cast any effort to look beyond Russian collusion as a distraction, said John Fund in NationalReview.com. But they “used to be appalled at the abuses of power” by the FBI, CIA, and other secretive government agencies, which have a long history of spying on people for illegitimate reasons. Can liberals not even consider that “there might be two stories relating to 2016 campaign skulduggery rather than just one”?